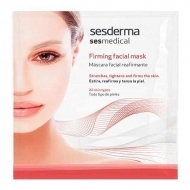 DESCRIPTION: Sesmedical Antiaging Facial Mask from Sesderma is a facial mask that contributes to the skin ATP (Adenosine Triphosphate), Ribose, O2 and Ergothioneine encapsulated in lipid bubbles. 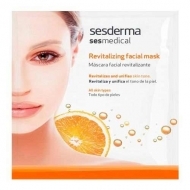 The skin becomes firmer, brighter, revitalized and younger, ensures perfect occlusion of the goods. It is flexible and adapts to the facial contour. 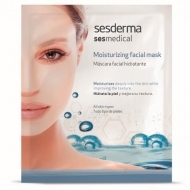 Clean the skin; Apply the mask, modelling it and adjusting it to the face; Leave on for 20 to 30 minutes; Remove carefully and massage the skin.